Some view a blanketing of snow as a welcome occurrence while others as an annoying disturbance. Regardless of your viewpoint, snow and ice frequently result in workplace injuries or negligence claims. In 2014, more than 42,000 people were hurt on the job in snow and ice related accidents. These injuries often result in lost time from work and the need for medical treatment. The most common injuries are traumatically caused from slipping and falling, or are exertional injuries from snow removal. These injury categories may be very broad, but often involve strains and sprains to the neck and back, broken bones, concussions, joint injuries to the knees, hips or shoulders, spinal injuries and/or heart attacks. Although snow and ice related injuries affect all age categories, the elderly are particularly susceptible. If you were injured while working due to weather related conditions, you may be entitled to workers’ compensation benefits. The District of Columbia, Maryland, and Virginia have distinct laws when it comes to workers’ compensation so knowing and being advised of your legal rights is important. For more information on those rights, check out David Kapson’s recent blog post. How can I stay safe while walking in wintry weather? If you do not have to go out, the best way to stay safe is to stay at home to allow snow and ice removal teams to do their job. Don’t rush. It’s normal to want to get inside and warm up, so people often are hurrying to get out of the unpleasant weather conditions. However, its safer to take it slow and use flat footed and small steps – almost like a penguin. Stay on cleared or treated walkways and avoid untreated shortcuts. Wear proper footwear for the conditions – avoid heels and smooth soled shoes. Stay off your phone, watch where you are walking, and try to avoid carrying heavy loads. Be very careful stepping on or off of curbs, as well as getting in and out of cars. Be mindful of areas that have been subject to refreezing and particularly black ice. Following these suggestions should help keep you safe. But, if you are being as careful as you can be and you still fall and are injured, the laws in the District of Columbia, Maryland, and Virginia protect you. If this happens, it is important that you speak with a trial lawyer who is experienced in handling slip and fall cases. How long do property owners have to clear sidewalks after a snowstorm? The simple fact that you fell and are injured does not mean that person who owns the property is responsible for taking care of your medical expenses, lost wages and potentially life changing injuries. In D.C., property owners are required to clear the sidewalks within 8 daylight hours of a snowstorm. Both businesses and homeowners face fines for not clearing sidewalks. Maryland does not have a statewide snow removal law. The safety rules for snow removal are set by the individual counties. Montgomery County requires property owners to perform snow removal within 24 hours. Property owners in Prince George’s and Howard Counties have 48 hours to complete snow and ice removal. Charles County has no safety rules requiring property owners to shovel snow and clear ice from sidewalks. Virginia also leaves the snow and ice removal safety rules to the local governments. The City of Alexandria requires snow clearing within 24 to 72 hours depending upon the severity of the storm. Arlington’s snow and ice removal rules allow 24 to 36 hours depending upon the severity. Neither Fairfax County or Prince William County have safety rules for snow and ice removal. Both businesses and homeowners have insurance to protect them if someone is hurt by their negligence or irresponsibility with snow and ice removal. But insurance companies employ armies of lawyers whose job it is to protect the insurance company’s money. They know all of the tricks that can be used to avoid having to pay for an injured person’s medical expenses, lost wages and life changing injuries. When an injury in a fall changes your life, you need to talk with a trial lawyer who has actually gone to court in these kinds of cases to have a fighting chance against the insurance company’s lawyers. 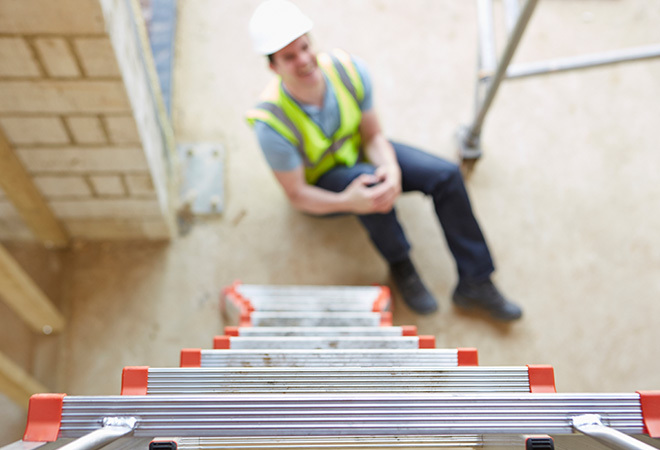 First, the insurance company will say there’s nothing the business or homeowner could have done to prevented the fall or the resulting injuries. This is simply not true. An experienced trial lawyer will know how to show all of the steps that a responsible property owner should’ve taken in order to prevent ice and snow from creating the risk of a fall; much less the fall that actually happened. Second, the insurance company’s lawyer will argue that the business or homeowner did not know that there was a dangerous condition on their property. This argument stops many innocent people from being protected since proving that the property owner had notice requires very specific evidence. Again, an experienced trial lawyer will know how to fight the insurance companies tactics and find the evidence needed. Finally, and most dangerously, is contributory negligence. The District of Columbia, Maryland and Virginia are three of the five states in the United States that still follow the rule of contributory negligence. What this means is that if the insurance company’s lawyer shows that the injured person was 1% at fault for the fall, the property owner is not responsible to pay for the injuries. When someone in our community is injured by a property owner’s choice not to follow the snow and ice removal safety rules, one if the first things that happens is the injured person gets a phone call from a representative of the property owner’s insurance company. The insurance company will tell the injured person that they need to take a statement to set up the claim. Do not give a statement. That statement will give the insurance company lawyer all the ammunition they need to shoot down your claim. How do I stay safe while driving during winter storms? People who are not able to stay at home during winter storms frequently have to drive. But driving in winter conditions is more dangerous than trying to cross slippery sidewalks and parking lots on foot. According to the National Highway Traffic Safety Administration (NHTSA), 17% of all vehicle crashes are caused by winter weather conditions. Each year more than 1,300 people lose their life in snow and ice related vehicle crashes. In addition, more than 116,000 people annually are injured in snow related crashes. If you can stay off the roads, you should do so. Make sure your vehicle is winterized, and that you have appropriate clothing and supplies in the event something goes wrong. Since everything takes longer on snow covered roads, remember to accelerate, brake and turn slowly. Give yourself and your vehicle time to safely respond. Try to avoid stopping on hills. Maintain some momentum in order to prevent getting stuck. Try to avoid coming to a complete stop. If you can slow down enough to keep rolling, you will lesson the chances of getting stuck. If all else fails, be mindful that if its not necessary, don’t go out until government crews have safely treated the roads. If you are injured by an irresponsible driver during winter weather conditions, the laws of District of Columbia, Maryland and Virginia will protect you. The irresponsible or negligent driver is required to pay for your medical expenses, lost wages, and interruption in your life that they cause. We all know that the drivers on the roads in our community are covered by insurance. If you are injured in a car wreck during winter weather conditions, you should talk to a trial lawyer who has a track record in court with these kinds of cases. Many people believe that making a claim for injuries in a car wreck will cause their insurance bills to go up. This is not true. Only the person who causes the wreck will pay higher insurance bills. Just like in fall cases, drivers who do not follow the traffic safety rules are protected by insurance companies and their armies of lawyers. Everything the insurance company says to you and asks you to do after a wreck is carefully planned. The plan is designed to make sure the insurance company lawyer can make the injured person look like a liar, a faker or a fraud at trial. Do not talk to the insurance company without getting legal advice first. Just like in slip and fall cases, there are legal defenses that relate to winter weather conditions that can be used to protect drivers who do not follow the traffic safety rules – and their insurance companies’ wallets. Two of these defenses are the “sudden emergency doctrine” and contributory negligence. An insurance company will argue that winter weather conditions create “sudden emergencies.” They will say that these emergencies make car wrecks unpreventable. But this is simply not true. If the injured person gives the insurance company a recorded statement, one of their goals will be to gather facts from that person that can be used in court to prove that the injury was the result of an unpreventable sudden emergency. At CHASENBOSCOLO, our trial lawyers that fight insurance companies in court and know how to stop the insurance lawyer from using this trick to avoid accountability. Contributory negligence in a car wreck cases is the same as in a slip and fall case. What this means is that if the insurance company’s lawyer shows that the injured person was 1% at fault for the wreck, the irresponsible driver gets a pass for the injuries they caused. Again, this is why its important to talk to an attorney before you talk to the insurance company, even if its just to know your rights. Winter weather can be very dangerous, especially when people behave irresponsibly. Thinking about the dangers is the first step of protecting ourselves and our loved ones from life changes injuries. No matter how careful we are, the choices other people make can cause life changing injuries. If that happens, its important to know your rights and your legal options. This doesn’t just help you get justice, but it helps make our communities safer by making it clear that property owners and drivers who take a snow day on the safety rules won’t get a pass. If you’ve been hurt as a result of someone else’s irresponsible actions in the snow, contact CHASENBOSCOLO for the experienced legal representation you deserve. Call (301) 220-0050 to set up your free consultation today. The United States is one of a hand full of countries that trusts its citizens to self-correct by allowing a jury of their peers to sit and come to an agreement when there is a dispute between parties. It is a system that goes back to Ancient Athens 900-146 BC, when a process called “Diskastai” was used to ensure that people could not select jurors for their own trials. The bigger the issue, the larger the group of Diskatai were used. This has trickled down to the justice system that we all know and love. Now, we get that magic notice in the mail summoning us to sit in a room for 8 hours praying that we won’t get picked. Our justice system, while not perfect and sometimes an inconvenience is something of a marvel. Having a collective of folks from our neighborhoods and communities coming together to set the standards for safety and behavior that we want is special. However, despite the fact that most folks by age 30 have been selected or summoned for jury service, they do not know a lot about how it works. 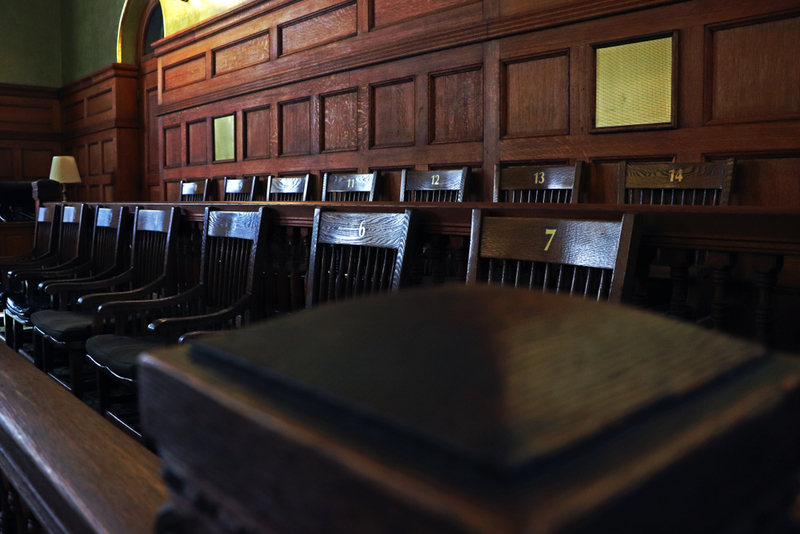 Jury trials have a mystery to them that is confounding not only the lucky souls picked for duty, but also to those on either side of the issue. As a practicing trial attorney, I am often confused, confounded and alarmed at the things that we can and cannot say and do during a civil trial. It’s not something that they teach you in law school. There they build our jury system up on the foundation of justice and truth and that every person: man, woman and child is equal before the law. The most important thing we are taught is the search for the truth the search for that which is hidden. That all things in the dark will come to light. The reality however, is that there are several things you, as juror, are not allowed to know. Things that the mighty decision makers from on high, the judiciary, have decided are not worthy of your consideration. The system has begun to take for granted the intelligence of the modern juror and their ability to decipher the good, the bad and the ugly. My mother taught me that ALL information is good information and, in that vein, I share this information with you. When a person is injured in a car crash, slip and fall, or any kind of incident that results from someone else’s actions, they have the opportunity to file a civil action. That civil action, or lawsuit, is based in what we call negligence or tort. A tort is a wrongful act or infringement on the rights of another. The injured person files a claim against the person who injured and becomes a Plaintiff. By filing that suit, the legal system ensures and that this is the last time that the “wrongdoer” or Defendant is really involved. The insurance company for the Defendant tags in on the behalf and from then on they control the process. The insurance company is the one who decides if this is a case that is worth settling or not, or whether it should go to trial or not. They are the ones who assign an attorney and a random adjuster who was not involved in the actual happening of the event/tort and has never met either person involved, but still makes major decisions. The adjuster is the person who holds the purse strings, controls the money. They say what a case is worth to the insurance company and what should be paid, if anything, for the affect the injuries had on their life. They are also the people who fight the most to keep the truth away from the jury. Often times the person who was actually sued has no say in how things proceed. It is all about protecting the insurance company’s and their bottom line. Insurance companies are in the business of making and keeping money. Insurance companies are not in the business of paying claims, as that is not how they make money and stay solvent. When the case gets to trial and a jury picked, despite the fact that the Insurance Company are the ones who provide the defense and ultimately the ones who will pay any verdict obtained, we are not permitted to tell you this. It’s a big secret, a Wizard of Oz “Pay no attention the man behind the curtain!” farce. This would not be so bad if that same man behind the curtain were not allowed to argue the point that a just verdict would financially harm or even bankrupt their client. The Defendants can talk all day about what a verdict would mean for poor old Ms. Simpson who is retired and living off of Social Security, when the reality is that she will not spend a dime on that verdict. Her insurance company will. Our justice system is set up to make you believe that the person being sued is who is paying the bill. They aren’t, and we cannot pull back that veil. There is no Toto to expose the wizard. In some local states, even when the person being sued IS an insurance company the jury is still not permitted to know who they are. In effect, they get to hide completely from Lady Justice. Is drunk driving really a bad thing? Let’s say that you are involved in a car collision with someone who is intoxicated. Pretty devastating huh? Pretty scary? We all know that drunk driving is not safe, and that using alcohol and/or drugs then getting behind the wheel kills thousands of people every year. Judges in MD and DC have decided that the fact that someone is drunk or high behind the wheel is NOT RELEVANT to your case. Even if you wind up injured, permanently hurt and they have been convicted of driving under the influence that fact will never see the light of day in front of a jury. As long as the Defendant says they were drunk and/or high and caused a crash, they get to hide the fact that they were drunk at trial. Despite the fact that the law says that the person suing has to show all the dangers that could happen and that the Defendant appreciated that danger, the fact that they were aware of the dangers of driving drunk is not important. In essence, we are saying that people do not have to take responsibility for their actions and can continue to put those on the road with them at risk day after day. The rationale handed down by the courts is that that fact of the Defendant driving drunk unfairly prejudices the jury against the Defendant, but should they not have to bear that prejudice? They knew the law when they chose to drink and get behind the wheel, they should have to bear all of the consequences. They have been in how many crashes? How many car crashes or collisions has the person who hit you been in before hitting you? Do you think this is important? Would you want a jury to know this when thinking about whether or not that person has a reason to lie, or if they should be held to a higher standard? While they can mount a pretty effective defense that you as the Plaintiff are just out looking for money because of the unfortunate events that have happened in your past, the Defendant can hide behind the curtain yet again. Did they fall asleep behind the wheel and hit a pole just 40 minutes before hitting you? Have they been convicted 10 times in the year before for reckless driving too bad so sad, the powers that be have said that prior car crashes are not relevant, even if they happened the SAME DAY as the one that you were in. This person could be Evil Kanevil on the streets and the jury will never know because the courts have deemed it “not relevant” and “not important”. So let us say you are injured and call the police. They talk to everyone involved and they create a report. In some situations they make a decision about who was at fault or what the circumstances are surrounding what happened. We get a copy, the Defendant gets a copy but guess who doesn’t get to see it? The Jury! This is probably the number one thing that jurors ask for. “What about the police report. Is there one? What does it say? Can we see it?” Well, yes and no. We are not allowed to talk about its very existence unless we have the cop there in trial to testify. However, here in lies the rub. The Defendant can simply say “Oh I did it, but they were not really hurt” and BOOM! You talk about the police report “not relevant”. On the other hand, let’s say that the Defendant is contesting what happened in the crash, Police officers are really really busy and notoriously hard to track down. They move around, they transfer and sometimes it’s not always in their best interest to take a day off from work to testify in a civil trial. You can admit the police report to prove observable conditions for example the weather, the condition of the road, time or place and position of the vehicle, but in a drunk driving situation is that the meat? If you are starting notice a common theme of relevance, you are correct. The irony is, that the very people, that the justice system works so hard to keep in the dark, the jury, are the very people who are charged with deciding the facts and if something and someone should be believed or not. So, how does this information hurt or help you? Well, it is important to know the truth. Our current justice system, while a beautiful dance of brain vs. brawn, has become a game. A cat and mouse game where The Plaintiff spend time trying to expose the truth, while The Defendant goes through great lengths to keep it from you. The Jury should know how it all works so that you know and understand your rights, should you ever unfortunately be involved in a situation where you are hurt as a result of someone else’s actions. You should know that, no matter what they tell you, it all comes down to the insurance company. They are the ones in control, they foot the bill, and they make the hamster wheel turn. There is rarely a situation where they are not the person actually paying the bill and you should not be ok with them lying to you about it. You should not be ok with them being able to hide anything from you, whether it be a prior accident history, drunk driving or a police report. You should go in with your eyes open, whether you are a Plaintiff, Defendant or Juror. This is not Fahrenheit 451. Our jury system works because our jurors are SMART, way smarter than they system gives them credit for. Why else would we have trusted them to make decisions, for thousands of years. Jurors are discerning and compassionate and attentive. My idea of justice, true justice, would be to lay it all out on the table things that are a benefit and harm to both sides and let jurors do what we charge them to do, figure out the truth and decide what amount if any should be allowed as compensation. Will this always benefit the Plaintiff? No. It will however not always benefit the Defendant either. It is truly a balancing the scales of justice. And that is why most lawyers, at least the ones that I know, got into this business. The very definition of Justice is just behavior or treatment. “A concern for justice, peace, and genuine respect for people.” Webster’s Dictionary 2018. Let’s start treating our jurors with the respect of the TRUTH. What is My Case Worth and How is it Determined? If you’ve made it to this page, its probably because you, a family member or friend sustained injuries resulting from the negligence of a company or individual. According to the National Safety Council, motor vehicle crashes in the United States during 2017 resulted in 40,100 deaths and 4,500,000 seriously injured people. Those numbers are mindboggling—110 people die each day in a motor vehicle collision and more than 12,328 are injured daily. For teenagers, car crashes are the number one cause of death. Tragically, you have a 1 in 102 odds of dying in a car crash during your lifetime. Being struck as a pedestrian is 1 in 561 and for those riding motorcycles, the odds are 1 in 846. Slip and fall statistics are also alarming. You have a 1 in 119 odds of dying as a result of a fall. The above numbers are ridiculously high, and you can see the real life and close-to-home tragic consequences of such events. Negligence is frequently the result of somebody’s violation of the safety rules which are designed to protect us and keep us safe. Some sort of distraction, lack of proper attention, inadequate training, not following protocols, taking short cuts and otherwise not doing what a reasonable person would do creates the negligent conduct. When that safety violation occurs, the negligent party has an obligation to make things right. The question is—what is right? How much money is right? What factors are considered in valuing an injury claim? Although some might think it unseemly to value injury claims in dollars, that is the only method our system of justice allows. The United States’ system of justice derived from the common law system developed in England. Although many changes and modifications were made following our Declaration of Independence in 1776, we still hold to the judicial system that requires a negligent wrongdoer to fully compensate an injured party for his or her losses. Failure to do so is a failure to do justice. We are very fortunate to have the system we do because a justice system used in other parts of the world dates back to around 1754 B.C. Known for Babylonia King Hammurabi, its called the Code of Hammurabi. You are likely familiar with this justice system based upon retribution, an eye for an eye and tooth for a tooth. So, returning to your inquiry, what is a case worth? Numerous factors dramatically affect the value of an injury claim. Many will be discussed below, but some common factors include the defendant’s conduct, the injuries sustained, medical care, lost wages, permanent injury and where the injury occurred. Although you may have heard from a friend or family member about a formula for determining case value, that system or process really has not existed for decades. Insurance companies today use computers to determine case value. Experienced injury attorneys are aware of this and have the tools and resources to fight for fair compensation. Are there any liability issues? 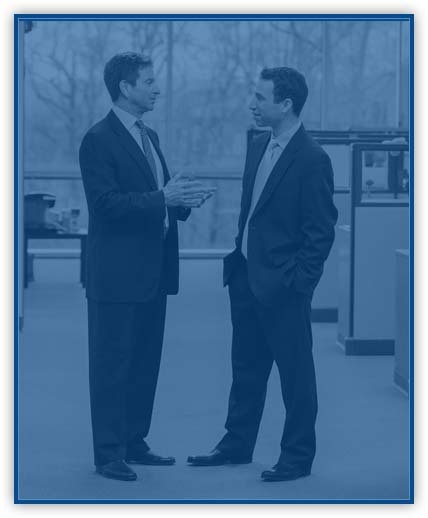 The first step in assessing proper case value is resolving any and all liability issues. Liability simply means who is at fault. Is the at fault party completely at fault, or only partially at fault? Is fault disputed? Depending on the state where the negligence occurred, fault is crucial. The District of Columbia, Maryland and Virginia are three of the five jurisdictions in the United States that follow the concept of contributory negligence. In most states, comparative negligence is the standard. Why is that important to case value? In contributory negligence states, if the injured person is even 1% at fault then he or she is not entitled to any money—nothing! A harsh result, but that’s the legal standard in contributory negligence jurisdictions. In most of the US, the standard is one of comparative negligence. In such states, a comparison is made between the negligence of the parties and the injured person’s money award is reduced by his/her comparative negligence. So in a contributory negligence jurisdiction, if the injured party is found 1% at fault for a car crash, there would be no recovery. However, if with same set of facts the car crash occurred in a comparative jurisdiction (Pennsylvania) and the jury awarded $100,000.00 to the injured person, the award would be reduced by the injured person’s negligence (1% = $1,000.00), so the award would total $99,000.00. Click here to learn more about how contributory negligence effects slip and fall cases. How does an insurance company evaluate the value of your case? In the past, an insurance company adjuster would use his/her common sense, education, training and experience to determine case value. However, in the mid 1990s, the claims departments of most large insurance companies underwent a radical transformation based upon suggestions by McKinsey Consulting. The suggestions were designed to reduce the amounts insurance companies were paying to injury victims, thereby dramatically increasing profits. So currently, most insurance companies use computer software based upon potentially hundreds to thousands of different data points to determine case value. One such program is called Colossus, which was originally created by Computer Science Corporation and leased to hundreds of insurance companies. The human element in reviewing claims has been significantly reduced, and at times, all but eliminated. The insurance industry cost savings have been huge while payments to injury victims have been dramatically decreased. So, if an insurance company is going to use computer software to reduce the value of a case, what can be done about it? First, it’s important to retain a law firm experienced in handling claims with insurance companies using the computer software. Accurate documentation of injuries, type of medical care, body parts, loss of enjoyment, medical procedure codes, supporting records, medical billing codes, permanent injuries, etc. are important when preparing settlement demands that will be assessed by the computer. Second, it’s critical to retain a lawyer and a law firm with a well-earned reputation for going to court. Insurance companies track and record which law firms fight for their clients by filing suit and which lawyers are more likely to just take the money and run. If your lawyer has a reputation for settling, you will get less of an offer than another lawyer with a reputation for fighting for his/her client. Normally, settlement value increases after suit is filed and may continue to increase as you get closer to the actual trial date. Third, be prepared for a fight and you must remain patient. If the insurance company makes you an unfairly low offer and suit is filed on your behalf, the insurance company may hold on to its money until very close to trial. Insurance companies understand that they have the money and it doesn’t make much difference whether they pay today or one year from now. It’s not going to have much, if any, impact on the large insurance company. Insurance companies make money over time on their money through investments, so the delay is normally nothing but beneficial for insurance companies. You, on the other hand, have lost time from work, received less than you thought for the value of your vehicle, incurred medical bills that threaten to turn you over to credit agencies, spent through your savings and now feel the need to settle your claim. The insurance company now has you at a disadvantage. Again, an experienced injury lawyer will assist you through this difficult process and help you see the light at the end of the tunnel. The defendant’s behavior – The more outrageous the negligent behavior, the better the case value. The defendant – Will the defendant make a good or bad witness? The type of negligence claim – Minor rear-end crash versus tractor trailer setting off chain reaction collision. What county suit could be filed in – Certain jurisdictions are more favorable and insurance companies are aware. No two cases are the same, and even similar facts and injuries frequently lead to widely different outcomes. What may be relatively minor for one person may be devastating for another—how can a computer make that determination? The problem is, insurance companies rely upon them to perform that function thousands of times per day. There is no humanity in using a computer to determine the seriousness of an injury and how it impacts and changes a person’s life. For that, you need an experienced lawyer on your side, one the insurance company knows will file suit if a fair offer is not made. Even so, because of the use of Colossus or similar programs, the insurance adjuster doesn’t have the flexibility to go above the computer value, so the decision must be made—settle or sue? Ultimately, your case is worth this— what you’re willing to accept in settlement and if not, then what you are awarded at trial. A skilled trial attorney should be able to give you a pretty good idea of the value range of your claim based upon their experience. A lawyer should also explain the settle or sue options so that a decision in the client’s best interests can be made. If the case ultimately proceeds to trial, then the value will be determined by a jury using many of the twelve criteria listed above. Nestled between the Bronx and Manhattan, the most serene location I’ve ever found in New York City is the Harlem River at 6:00 a.m. Mondays through Saturdays. The murky water reflected the impending sunrise off its oily sheen. After attaching the riggings to the shell and climbing in, both the stillness and the serenity of the river rippled away. I rowed for three years in college. The dreaded two-a-days workouts and indoor erg pulls were the only downside to trolling between Yankee Stadium and the Broadway Bridge. At some point during my third year, I began to notice a dull ache in my hip after practice. Nothing some rest (and ice cream) couldn’t fix. As race season ramped up, the pain intensified and was less willing to subside with my self-prescribed therapy à la mode. I sought treatment with the athletic department’s trainer. “Just ice it and it will go away,” they said. It didn’t. Back to the trainer’s office. “Have you tried heat? It will help.” The pain persisted. I then went to my family practitioner. “Have you tried a course of anti-inflammatories?” Yes, but just like everything else so far, no relief. In the meantime, race season had ended, finals were approaching and I found I was having trouble walking back from the subway after work. I was given a referral to see an orthopedic surgeon. After performing a few quick tests, my orthopedic surgeon told me we needed an MRI and it was possible I had torn “something” in my hip. The MRI order was promptly denied by my health insurance company. However, they approved an x-ray of my hip. My doctor and I agreed that although the MRI was what he had ordered, I should go ahead and get the x-ray taken. Results: “Unremarkable.” Back to the doctor so he could inform my insurance company I needed an MRI. Again, it was denied with a note indicating it was “unlikely a 22-year-old female is having difficulty walking.” However, they approved a CT scan with contrast. Not a procedure I’d ever like to repeat, but I got it done (at, of course, the facility my insurance company identified). The MRI was finally approved and done (again at a facility identified and approved of by my insurance company). The results were in. I had “an acetabular labrum tear and possible degenerative changes.” In English, please? I tore a small piece of cartilage near the femoral head and the pelvis, and there were indications of arthritis. I was then informed the surgery did not come with a guaranteed success story. In fact, it was unclear whether the effects of the surgery would last a few months or the rest of my life. “What about if I want to have kids?” We don’t have the research. “Will I be able to go back to rowing?” Absolutely not. “What about hiking? Walking a strong dog on a leash?” You should be okay. “Dancing? Running? Bicycling?” All of those are fine—but no yoga or Pilates. After this surgery, you will be forever restricted from those activities and anything that isolates the hip muscles and joint. I was 22 and contemplating what my life would look like with a perpetual cloud of uncertain future surgery and/or restrictions. I went for a second opinion (as you might imagine, not covered by my insurance company) and a review of all the studies performed on my hip. I went to a prestigious hospital in New York City to consult with a doctor that spends the large majority of his time on torn acetabular labrums. It turned out to be an incredible waste of time. I was seen by the doctor’s physician’s assistant, who listened to my description of the pain and its duration. The doctor himself came in for less than four minutes. During that time, he spoke rapid-fire and there was no time for any of my follow-up questions. He told me my MRI images were “far too fuzzy to even interpret,” and, “I’d have to measure your legs if I’m going to do this surgery—it might have to be a total hip replacement, I’m not sure yet,” and, “You’ll have to get new MRIs done at the place I like down on 58th. Go there and have them sent back over to me and we’ll go from there.” And then he was gone. And so was I. It was time to schedule surgery with my orthopedic surgeon, which my insurance company again denied. My doctor appealed the denial on my behalf, explaining I was an otherwise perfectly healthy 22-year-old who could not walk without pain. Denied again. My surgeon called to explain the denial. He indicated that often the denials are decided by employees of the insurance company who have little to no medical training or background, but rather follow a set of parameters provided. He again appealed on my behalf, using the multiple studies as support for the surgery. At this point I was tired of the run-around and constantly having to rely on someone else to advocate on my behalf. A short time later, the surgery was finally approved. I was elated to find out that not only was the surgery approved, but so were 24 visits to a physical therapist after surgery. The physical therapy was to be performed at a location entirely inconvenient to both my home and office locations. I did some research of physical therapy centers closer to my home and office and sought the advice of friends and officemates. I was fortunate enough to work as an administrative assistant in a law firm specializing in medical malpractice at the time—so the advice was well taken. I took that information and called my insurance company myself. I explained that the location they had identified to attend physical therapy sessions was inconvenient and was not the location where I wanted to seek treatment. I gave them the name of the facility not two miles down the road from my office, which was accessible during my lunch hour and okay with my employer. I expressed my willingness to attend physical therapy (I really wanted to get better and get back to what I was doing) and that I took my healthcare very seriously. I was told a decision would be made but that there were no guarantees and I shouldn’t get my hopes up. To their credit, the insurance company approved my physical therapy at the location I designated. I got the approval letter in the mail and it seemed like it was all coming together. The surgery was a few days away, and I had the physical therapy all lined up—now all I needed to do was rest, recover, and get back to my daily life. Until I scrutinized the letter—which indicated they had only approved 18 sessions of therapy at that location. I rooted through all my paperwork (and there was a mountain of it) to find the other approval letter that allocated 24 physical therapy sessions. I looked at them. And read them again. Read each one over—placed them side by side and upside-down. One said 24 sessions. The other 18. Apparently, asking to have the same treatment at a different facility resulted in the loss of 6 sessions. I gave the papers to family members to read to ensure I wasn’t missing anything. I asked the attorneys in the firm to glance over them. Nobody could explain the loss of 6 sessions of physical therapy on the eve of surgery simply by switching locations, and I still had unanswered questions that no one seemed to be able to answer. But I knew someone who could. A telephone call to my insurance company confirmed they had unilaterally decreased the number of sessions I needed post-surgery. I placed a call to my doctor’s office to let him know what had happened. He agreed the facility I was now going to attend was superior to the one identified by the insurance company, but there appeared to be no rationale as to why they slashed 6 sessions from my treatment. He told me not to worry—we would start with the 18 treatments, and he would prescribe more if I needed them. The surgery was a success. I awkwardly clunked around on crutches for two weeks until my post-operative visit with the surgeon. He had the biggest smile and asked (with far too much enthusiasm) if I wanted to see the photos from the surgery. No, I did not. Turns out, it wasn’t a question; we were going to review them together. We looked at the tear—which was much worse than previously seen on the MRI. We looked at the femoral head, which had a lot of arthritic bone that was removed during the surgery. We reviewed every detail of the surgery—and I was finally given clearance to attend physical therapy and take a proper shower. After 18 sessions of lunch-hour physical therapy, the physical therapist and my doctor agreed I needed at least 18 more sessions to ensure proper healing and that the surgical repair would last. They both prescribed 18 more sessions. However, the insurance company had not made its decision regarding the continued treatment before my next scheduled session. I asked the physical therapy facility if they would be able to provide treatment in the interim. They were willing to help, provide treatment and lend support wherever they could. A few days later, I received an approval letter for continued physical therapy sessions from the insurance company. Six more sessions. One-third of what had been prescribed by treating professionals. I grumbled and fought with the insurance company, roping in my doctor and the physical therapist. The insurance company wouldn’t budge and refused additional treatments. 24 sessions in total were the most they would cover, and if I wanted to continue I certainly could—paying out of pocket, of course. I attended my last 6 sessions, keeping in close communication with my surgeon and the physical therapist. I asked if I could have them draft and approve a home exercise program that I could do at home in lieu of paying out-of-pocket for continued visits. They both agreed this was an excellent idea—but if there was any pain I was to return to their care immediately. While all of this was going on, I had been working in a law firm while trying to figure out whether I really wanted to go to law school. I had been working in the same firm for over seven years at that point, and I wanted to make sure that law school was really and truly my dream. Going through this experience only solidified my desire so that I could advocate for others. Along the way I learned how to effectively advocate for myself both in and out of a legal forum, and I am always enthusiastic about using my skill set to the benefit of others. It’s been over eight years since the surgery. I can live without yoga and Pilates. My husband and I (attempt to) ride a tandem bicycle on occasion. I’ve hiked a portion of the Appalachian Trail while pregnant. I chase after my son on uneven terrain and skillfully dodge dump-trucks in my living room. It’s no longer the dark waters of the Harlem, but I’ve found serene places all over the DMV—and I can’t wait to find more. Talk to your doctor and ask questions. Bring a notepad with questions you have and space to write down what the doctor says. Discuss your symptoms with your doctor and ensure you both have a clear understanding of the course of treatment. Ask why your health insurance, or your employer’s workers’ compensation insurance (if you were hurt on the job), is denying treatment recommended by your doctors. Work with your treating providers to find alternatives while you’re waiting on authorization (or if authorization is denied). If insurance is requiring you to go to a provider that doesn’t work for you, see if there are alternatives available. Do the research to find a better location that accepts your insurance. Don’t be afraid to ask your doctor to advocate on your behalf for necessary treatment. Many people may know someone injured in a traumatic event, such as a motor vehicle collision or a fall. However, many people don’t, or the people they know who’ve been hurt have kept this information private. As personal injury lawyers, it is our job to help others, particularly juries, to understand the real and meaningful ways that an injury disrupts the lives of our clients, particularly when that injury is caused by another’s actions and decisions. As anyone who commutes in the Baltimore-Washington metro area knows, rear end collisions occur every day. Sometimes, the drivers and passengers involved walk away with no problems. Other times, they are not so lucky. To illustrate the unseen effects of injury, consider this relatively simple example for a car crash involving Gary. (To be clear, Gary is not a real person, he exists only for this example). Gary is 32 years old and works as a welder for a utility company. He is driving work on an ordinary Monday morning when, while waiting at a red light, his car is rear ended. The police are called, the parties exchange information and both vehicles are able to drive away. Gary goes on to work. After all, he doesn’t feel too badly immediately following the crash, and he has bills to pay and a family to support. Since Gary works for a utility company, his work is physical. He has to move and lift heavy tools, move large metal objects, and engage in other physical activity. As the day wear on, what began as tightness in his neck and back became worse. To an outside observer, neck and/or back pain may not seem like something that is terribly serious. Someone who doesn’t have first hand experience with this sort of traumatic injury may think that a bit of neck or back pain is no big deal. And Gary himself may not know how serious the injury is. The true severity of an injury like Gary’s may not always be apparent in the immediate aftermath of the collision. So let’s take a look at some of the ways in which Gary’s injuries will impact his life. To begin with the broadest view: he will experience physical pain. Back and neck pain can cause even the most mundane of movements to be painful. What will that pain actually mean to Gary in concrete, real life terms? What will that mean for his relationships, his work, his hobbies, his goals? Let’s break that down in more detail. Gary is relatively young at 32 years old. He has two young children: a 3-year-old boy and a 4-month-old girl. As any parent can attest, caring for young children requires a tremendous amount of work, even on the good days. Now imagine that Gary has arrived home after a long day of physical work. Even without his injury, he is tired and probably a bit sore. Layer on top of that the pain and stiffness from Gary’s injuries, and all of a sudden playing with or caring for his children is a much more difficult task. No parent wants this kind of interaction turn into a physically painful and difficult experience. A three year old may not understand why Daddy doesn’t want to pick him up when he gets home from work. Imagine how that makes Gary feel when he sees the hurt on his child’s face when he tells them no, Daddy can’t carry you. But that’s not the only relationship that suffers when someone is injured. These days, many two-parent households are ones where both parents have to work to make ends meet. This means that both parents need to find time to take care of ordinary household chores (anything from major home repairs, to everyday tasks like carrying in groceries) in between work, sleep, and taking care of the children. When one of those parents is dealing with some kind of physical injury, that division of labor can be upset. So an injured person like Gary, who is already trying to get better, may be dealing with the feelings that come along with feeling like he is not doing his part to keep the family operating day to day. Effects such as those described above can stress on a relationship, which might already be strained thanks to the daily grind of working and taking care of young children. This isn’t to imply that Gary’s wife (or the partner of any injured person) wouldn’t be understanding in a situation like this. But even “minor” neck or back injuries can have effects which can persist. When you add the psychological stress brought on by some of the other factors discussed, even the healthiest relationships suffer. How do Gary’s injuries affect his work? As I mentioned, Gary is a welder for a utility company. This means he may be working outdoors. Or maybe he works in confined locations inside power plants. He may find himself bending, crouching, or climbing. Welding is a skilled trade that is in demand in many areas. Welders have the potential to make a decent wage, but the work is physical. If Gary is temporarily placed on a limited or off work status, his family will likely face financial hardship. Only 39% of Americans have enough savings to cover a $1,000 emergency. In the D.C. Metro area, there’s no way $1,000 covers rent or a mortgage; never mind utilities, gas, food… the list goes on and on. If Gary’s off work (or “disability period”) lasts a long time, or if he loses his job entirely, that financial hardship goes up tenfold – putting even more pressure on him and his family. But that’s not all. Gary, like many Americans, takes a certain sense of pride and identity from his work, and from his ability to provide for his family. When an injury threatens Gary’s ability to go to work and provide for his family, more than just his job is threatened. Part of Gary’s very identity is threatened, and that is something that is impossible to put a price on. Depending on what Gary likes to do for fun, his hobbies or recreational activities could be impacted by his injuries. If Gary enjoys physical activities like cycling, or playing basketball, or bowling with friends, he may not be able to do these things at all, or might find himself dealing with even more pain if he tries. But sports aren’t the only hobbies hampered by injury. Imagine that Gary enjoys working on cars as a way to enjoy his free time. If he has a neck or back injury that causes him pain, the last thing he will want to do after a long day of work is to get under the hood of a car. Further, if Gary is unable to spend times taking part in activities with his friends, those friendships may suffer, all because Gary was in a car crash. Even relatively stationary activities like reading a book can be affected if Gary’s neck or back pain make it difficult to sit in one position for an extended period of time. Now, one may say that it is pessimistic to assume that all of these things will happen to Gary because he got hurt. But ALL of these things don’t necessarily have to happen to one person for that person’s life to be impacted in unexpected ways due to an unexpected injury. Even if just SOME of these things occur, that is enough to change a person’s routine, or make the challenges of daily life more difficult than they were before the injury. All of these factors can combine with each other to create a profound psychological impact on an injured person, particularly through feelings of anxiety, fear, isolation, anger, or helplessness. Gary, or any other victim of a motor vehicle collision, may experience fear or anxiety related to driving. This can be crippling to a person who has to drive to meet their daily needs, such as going to work, shuttling children around, or running other routine errands. Additionally, a person who curtails their own driving due to fear or anxiety loses the freedom of mobility that comes with driving. This can cause a person to limit their engagement with other people in their lives and potentially grow isolated. Let us assume that Gary had a rich social life before being involved in his collision. If he doesn’t like to drive to different places and if it hurts to take part in physical hobbies, that social life is going to suffer. Through his diminished ability to perform his job, his inability to participate in the lives of his children, and his loss of ability to travel or do the things that he used to do for fun, Gary is left with a much different daily life than the one he enjoyed before. For a relatively young adult in the prime of his life, the feelings of isolation, the lack of control over one’s situation, and the uncertainty about one’s recovery can be overwhelming and debilitating. It may go without saying, but injuries like Gary’s will probably require some kind of medical treatment in order to resolve. As alluded to above, neck or back injuries from a car crash can be relatively minor, in the case of “soft tissue” whiplash injuries such as sprains. Or the same kind of crash may result in more serious injuries such as a disc herniation or even a fractured vertebrae. More serious injuries like this could even require surgical treatment if more conservative treatment measures turn out not to be successful. Surgery of any kind is risky even under the best of circumstances. Neuro surgery or orthopedic surgery carries with it risk of side effects, potential for failure, or other complications. Some injured people have good health insurance that can help ease the burden of the cost of surgery and follow up care, but other injured people may face the uncertainty of not knowing how such a bill will be paid. Still others may undergo surgery in an emergency setting and then get stuck with a huge medical bill with no way to pay it. Even assuming that a is successful, a person with a serious injury may never fully recover and may be left dealing with the effects of that injury for a life time. But Why Do Injured People Need Attorneys? So why do injured people need attorneys? Well, let’s look back at Gary’s case: The insurance company for the vehicle that ran into him wants to close his claim as quickly and as cheaply as possible. Gary is not in a position to truly understand the real value of his claim and the insurance company knows this. That’s why Gary needs an experienced attorney that’s looking out for him. Obtaining representation when you find yourself in Gary’s position is not about taking advantage of anyone or anything. It is about making sure that the insurance company (which makes a profit by finding a way to not pay a fair claim value) does not take advantage of a person who is in a rough spot. That is why it is so important for someone who’s been injured in a car crash, slip and fall, or some other circumstance caused by another’s carelessness, to contact an experienced and knowledgeable personal injury attorney to determine their rights and see if they need an attorney. Make sure you talk to someone who is looking out for you, and willing to go to bat for you when the insurance company tries to play games. If you are reading this post and you’re lucky enough to have never been injured as the result of someone else’s negligence, I hope this information can give a bit of insight into what it’s like for someone who has had their life disrupted by circumstances outside of their control. If you have been injured in a car crash, a slip and fall, or as the result of another’s carelessness, I hope this has helped you understand why its important to at least consult with an attorney to help understand your rights and what you’re entitled to. This post was co-authored by Benjamin Boscolo. Recently, a mass shooting event happened at the Capital Gazette in Annapolis, Maryland, not far from our Greenbelt office. Five Marylanders and committed journalists lost their lives when a gunman opened fire on the newsroom, and two more were seriously injured. Our hearts go out to the reporters who were simply doing their jobs when the shooter targeted them. ChasenBoscolo stands with the Capital Gazette, Sun Newspaper Group and the Annapolis community. As of the posting of this blog, there have been 168 mass shooting events in the U.S. just this year. Unfortunately, as Americans know all too well, these events can and will happen anywhere. This number will continue to go up as long as lawmakers choose to ignore the root cause of the problem. In the meantime, those who are left behind – survivors and family members of those lost – have a long, arduous road to recovery that goes on long after the cameras leave and the attention of our leaders moves on to the next tragedy. Many people do not know are their legal rights in the wake of these events. These rights vary from survivors left with physical injuries and mental scars, to the families left behind. Our hope is that this blog helps people understand what their rights are as they try to cope and heal. This isn’t just meant for those impacted by the Gazette shooting, or the Great Mills High School shooting, or the survivors in Parkland; but also the people who’ll be targeted in the inevitable next one. When I was in college, back in 2007, I did a research project focused on the psychological mindsets of mass school shooters. One thing I discovered, which still rings true today, is that there are almost always warning signs of the coming violence – warning signs that many people, including people with the power to prevent the attack, knew about. In all of the mass shootings I studied, I learned that for a variety of reasons, these red flags are ignored. When the people in power ignored the warning signs, the result was the shooter being allowed to carry out his plans uninterrupted. While these institutions or businesses may not have actually pulled the trigger, their choosing to turn a blind eye to the threat make them civilly liable for their negligence. That is what creates the legal right for survivors and family members of victims to bring civil lawsuits in order to be compensated for the damages they suffer as a result of the shooting. Who has the right to sue? Anyone with a physical injury has a right to be compensated for these injuries. This includes any mental or emotional distress, trauma, and treatment needed. Survivors have the right to be compensated for the previously mentioned costs and effects of the shooting. But what about people that only suffered mental distress as a result of the shooting? This is much more complicated. Generally, D.C., Maryland and Virginia first require that that the person was in the “Zone of Danger”. This means you were there, in the immediate area of the shooting (same room/floor/office) and were actually afraid of being shot. Whether or not a survivor of a mass shooting is in the zone of danger is a very fact-specific determination. To make things more challenge there are little differences in the law in Maryland, D.C. and Virginia that make it very hard to really break down the Zone of Danger here. For example, each state and the District of Columbia have different rules about whether or not a person has to display physical signs or symptoms of their mental trauma to recover. That’s why it’s absolutely essential for a survivor left behind with mental scars from trauma to talk to an attorney who is experienced with mass shooting cases. Physical Wounds and Medical Treatment – Who Pays? For many physically injured mass shooting survivors, the types of injuries they suffer require immediate emergency medical treatment. They’re taken from the scene straight to the hospital, by ambulance, helicopter, or, the backseat of emergency responders’ cars. For those with only minor injuries – broken bones and concussions from trying to escape the gunman – they’ll be quickly released. But survivors who suffer gunshot wounds face a long road to recovery, one that may take months, or even years. Either way, a trip to the hospital alone costs thousands of dollars, money most Americans simply don’t have. Survivors who needs extensive treatment are faced with tens or even hundreds of thousands of dollars in medical bills. So who pays for it? And who should pay now? If you’re lucky enough to have health insurance, you should absolutely use it to cover the bills now. Many people think if they think they use health insurance, they can’t claim those medical bills paid for by their insurance in their cases. That is untrue. You can still claim those medical bills. Ultimately, the negligent party should pay for the medical bills, but in order to protect yourself in the meantime, health insurance can step in and pay for the care needed for recovery. Immediately after a mass shooting event, local charities and organizations do a great job offering survivors grief counseling and making sure mental health hotlines are available. But for many, regardless of whether they were physically harmed in the shooting, the mental and emotional aftereffects last far longer than a few weeks – and require more help than what these resources can offer. Victims deal with everything from survivor’s guilt to flashbacks, nightmares, and panic attacks. Some survivors find that the mental effects can be even more devastating and harder to heal than their physical injuries. Luckily, grief counselors and crisis hotlines are incredibly helpful for finding mental health providers that specialize in helping trauma survivors. Be sure that whoever you see is experienced in dealing with post-traumatic stress. It is even better if they’ve helped survivors of mass shooting events before. Either way, getting help as soon as you can is extremely important to help you process and recover from the trauma you’ve endured. Just like with medical treatment, if you have health insurance, mental health treatment should be covered. Unfortunately, many mass shooting events result in the loss of innocent lives: children, parents, friends, co-workers, brothers and sisters taken far too soon in an act of violence. Left behind are heartbroken family members and loved ones struggling to fill the holes left in their lives. They’re suddenly planning for funerals, which, according to https://www.parting.com, cost between $7,000 and $10,000. Many victims of mass shootings are young people, meaning they hadn’t financially planned for their deaths, leaving their loved ones shouldering heavy costs. When a parent is killed, the loss of income can devastate a family. This financial loss is magnified by the sudden and violent loss of their loved one and the accompanying public attention. A wrongful death claim is a claim brought by certain family members of the departed person which allows them to be compensated for the loss of their loved one. Only certain family members have the right to bring these kinds of claims. Those who have these right depends on whether or not the victim was married and has children, as well as surviving parents, brothers and sisters. Finally, the people who have these rights differs between Maryland, Virginia and the District of Columbia. This is another reason it is important for surviving family members to talk to an experienced, knowledgeable attorney. Grief, pain and suffering that the family endures from the loss of their loved one, both past, present and in the future. One particularly tricky part of wrongful death claims is that (generally), the law only allows one claim to be made for all the family members who have the right to bring these claims. That means that everyone who wants to bring a claim, or wants to bring a claim, needs to be part of one action. Maryland requires all of the family members with the right to be a named party in the case, even if they do not want to participate or bring a claim at all. It’s important for close family members to discuss this option together, and keep the lines of communication open. Some families pick one person to be the main point of contact for any discussions with an attorney. The other kind of claim available are survival actions. This is for the actual pain and suffering the deceased victim suffered during and after the shooting but before they pass away. This includes their fear as they realized what was happening, as well as when they realized that they were not going to escape unscathed. If the victim was unfortunate enough to survive after being shot – even if it was for just a few minutes – these claims also allow damages for their pain, anguish and suffering during their last moments. Unlike wrongful death cases, survival claims are brought on the behalf of the victim’s estate – the legal entity that exists after a person dies. Any compensation is then paid to satisfy any of the victim’s outstanding debts, and then to any people who get to inherit from the estate. Who runs the estate (the “personal representative” or “administrator”) and who gets to inherit depends on a couple of things. First, whether or not the victim had a will. Second, if there was no will, who the law allows to serve as a representative. The family members who can inherit again depends on the law of the state where the mass shooting event occurred and whether or not the victim was married or a parent. These cases aren’t easy. There are a lot of weird legal nuances, as well as factual, evidentiary, and societal hurdles that survivors and the families of the victims have to face. We do not want to discourage anyone from exploring their rights, we just want to be completely honest and candid. We’ve already hinted at some of these problems: proving that the survivor was actually in the zone of danger; overcoming laws limiting the kinds of actions survivor with only psychological injuries can bring; making sure all the right people are named and involved in wrongful death lawsuits. But there are a couple other big issues that we haven’t talked about. Ok, so, as we mentioned above, these cases center around the ignored red flags around the shooter and his behavior before the shooting occurred. This brings up an obvious point: we not only have to prove that these red flags existed, we also have to prove that the entity we think is responsible knew about these red flags. Then we need to prove that the responsible entity chose to ignore the red flags, allowing the shooter to take his plans and turn them into a tragic reality. We also have to prove that the responsible entity that knew about the red flags had a legal responsibility to protect the people who were eventually targeted. Not a moral responsibility, but a legal one. This is a very fact-specific determination (like so many other things in these cases) and is something an experienced attorney can definitely help you figure out. There’s a very obvious party we haven’t talked about yet: the shooter. After all, he’s the one who pulled the trigger, he’s the one who chose to take the lives of innocent people. Why aren’t we going after him? The very simple reason is that these cases – meaning civil cases – only allow us to get our clients monetary damages. That’s the way the law works. Period. So, when there’s no money available to get – these cases are just simply not worth our clients’ time. It is not worthwhile for them to go through years of litigation (yes, we do mean years) to get nothing but a piece of paper in the end saying they won. There’s no question of who was in the right or the wrong here: we all know the shooter did something unspeakably evil. So when we sue a shooter, unless they were a multi-millionaire, there’s nothing for our clients to collect. Homeowner’s insurance doesn’t cover these cases. Their contracts specifically deny coverage for intentional crimes like this. That’s why we’re not talking about suing the shooter themselves: because we don’t want to force survivors and grieving family members to go through all this for nothing in the end. The other reason is that when an entity picks to ignore a red flag, they are responsible. They made a choice, and then decided for some reason not to warn anyone, not to do anything to try to stop the shooter, limit the risk he prevented, or add extra security or safety to keep people safe. They didn’t pull the trigger, but their silence makes them complicit. One of the most important things to remember is that depending on the situation and where the shooting took place, there may be laws in place that shield those at fault from civil liability. This is called “immunity”, and who has immunity depends on what state the shooting occurred in. This is a very fact-specific determination, and is why it’s important for survivors and family members to talk to experienced lawyers who know what to look for. One group of companies that families and survivors often believe should be held responsible are gun manufacturers. Unfortunately, Congress passed a law giving gun manufacturers total immunity from civil lawsuits, meaning these companies are legally shielded from responsibility. The only way that will change is if the law itself is changed. If you have been the victim of or lost a family member to a mass shooting, it is important for you to contact a trial lawyer who is experienced in handling cases arising out of mass shootings. No matter what, we hope this blog has helped you get a better idea of what rights you have, legally, as you begin the long process of picking up the pieces left behind.